Is your website going to have a modern look that’s elegant and beautiful? Is your current or proposed WordPress theme for 2018 a functional and intuitive design? Will it present your business in the best light? Your business’ website is of the utmost importance, so ensuring that you have an up-to-date, mobile friendly, intuitive, beautiful, and functional site should be a high priority. If you’re going to stand out from the crowd, you can’t afford to have a site that looks like it was designed in the America Online days. That being said, finding the best business themes for your WordPress site can be tedious and incredibly time-consuming. There are literally thousands of themes available, making finding the right one a difficult process. So, we saved you the trouble. We’ve created a list of ten beautiful WordPress business themes that you should consider for 2018. Below, you’ll find a few great free themes, as well as a collection of paid themes as well. Make sure the theme author/shop is reputable and uses current WordPress coding standards. Read reviews. There are 1000’s of themes available, find out what others from the WordPress community have experienced. Look at the authors/shop update release logs. Do they push out updates when needed to support new core releases? Are the authors active in the community? Do they contribute to WordPress core and/or the theme, plugin repository? Support, is there a strong community of theme support? Do the authors actively engage their customers through support forums? If you want something that’s both elegant and a bit flashy, download the ultra-responsive, flexible, and stunning Flash template for your business’ WordPress theme. Though it’s a free theme, it’s not lacking in special features and it certainly won’t leave your customers thinking that you designed your site in Geocities. The Flash theme is fully widgetized and comes with a flexible, and extremely helpful, live page builder called the Flash Toolkit. This toolkit contains more than 10 different easy-to-use drag and drops that allow you to customize each page to your liking. Fluid and responsive, the Flash theme is no joke. It’s a great design for consumers looking at your page on a desktop, but also has brilliant mobile screen options that doesn’t make you sacrifice aesthetic for mobile functionality. With Talon, it’s all about design. With a stunning homepage, numerous features, and free of charge, the Talon theme is the perfect add-on or update for your WordPress site. Engaging and sharp, it will draw in your customers and keep them captivated long enough to allow them to explore your pages, which is exactly what a well-designed WordPress theme should. However, the Talon Theme is more than just attractive and appealing. It’s a responsive, easy-to-use, flexible theme for your site that was created with the latest WordPress technologies. 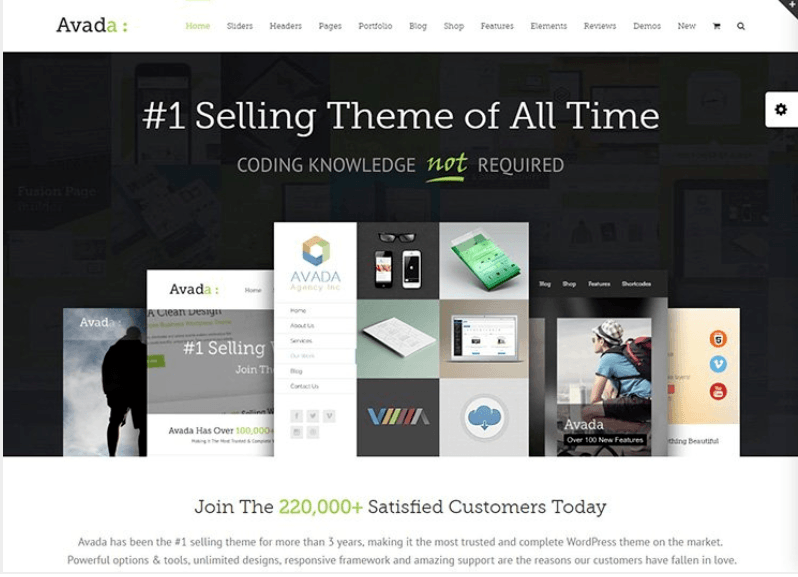 This web theme is well-suited for businesses, freelancers, agencies, entrepreneurs, corporations, and much more. It’s designed with functionality in mind, beautiful on both a desktop and mobile screen or tablet, ensuring that you don’t have to sacrifice any of your aesthetics for purpose. It was built on WordPress Customizer, so you’re able to watch as you make changes and see your progress as you go. The best part? You don’t need to know a single line of code to make this theme look outstanding. 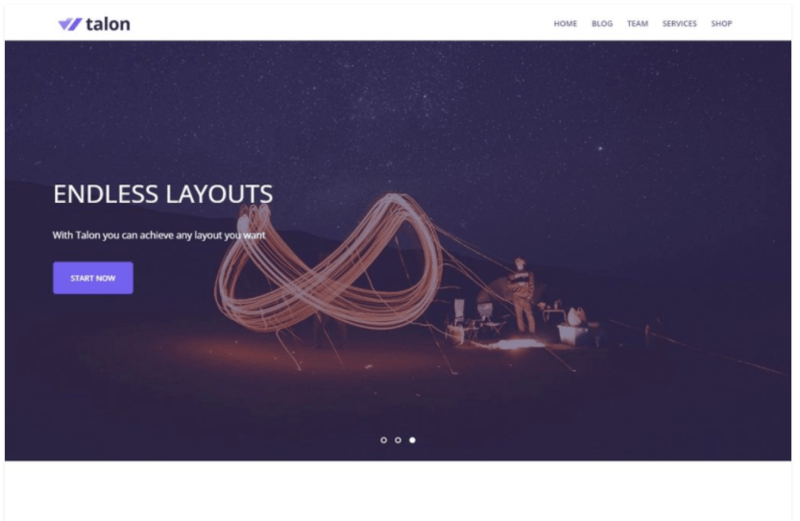 With dozens of options on headers, icons, fonts, and layouts, you can make this theme your own in a snap. The theme even comes with a support team that will get back to you with any questions or concerns you may have. The Himalayas theme claims to be the best, clean parallax theme, and it’s hard to argue. 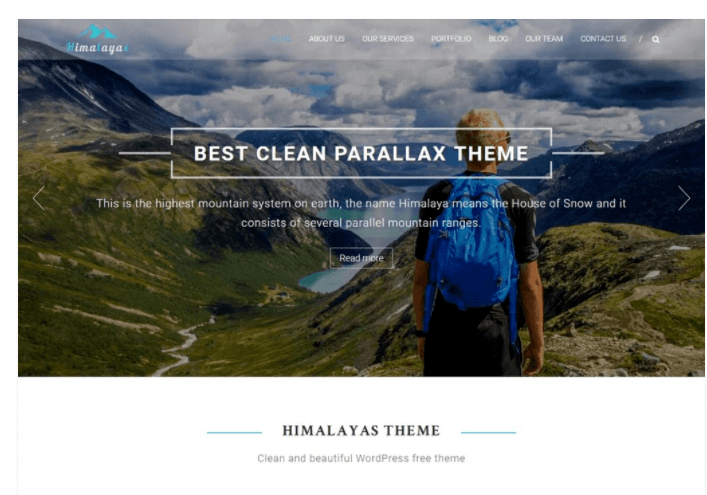 Equipped with a feature (parallax) that’s missing in most free WordPress themes, the Himalayas theme is a one-of-a-kind user experience. It’s one-page style is ideal for people who want to highlight everything on a single scrolling page rather than deal with the fuss of creating numerous pages. All of the features you’d find in a premium them are present with this free theme — style, flexibility, customization, ease-of-use, and stunning versatility. You can customize and change your full-width slider, have transparent stick menus, and create customizable sections for whatever you want. You also have an on-call response team for any issues you may face with the theme. This stunning theme is a multipurpose design that’s both clean and elaborate. It’s built based on the Bootstrap frontend framework, so you can expect a fully responsive site and full mobile accessibility without sacrificing looks. We certainly recommend this theme if you have a creative business (photographers, artists, musicians, etc). 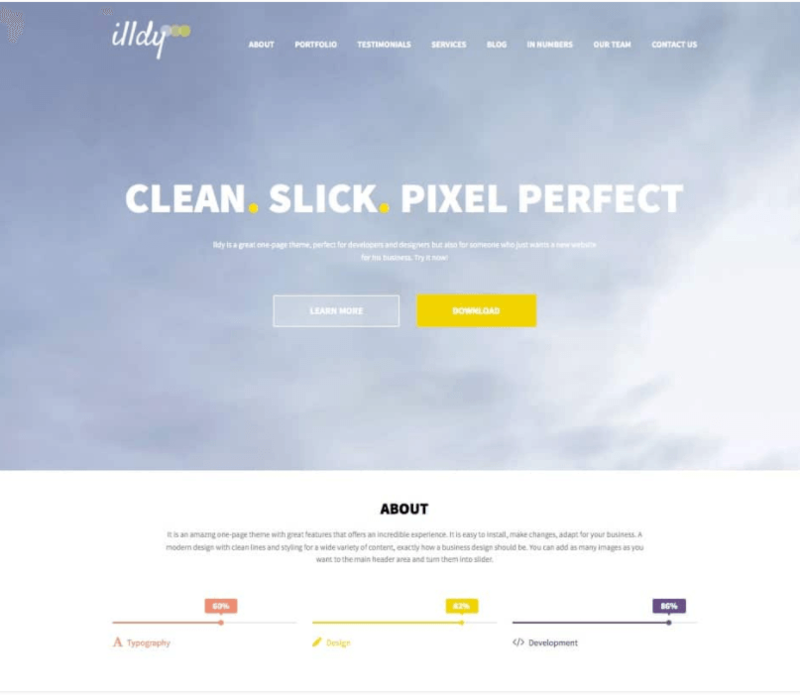 Illdy is built to integrate with WordPress Customizer, making it incredibly simple to customize your site. Using this theme, you can make customizations and then see exactly how they’ll look when they go live. Entirely flexible, this free-to-use theme is versatile enough to cater to both commercial and private sites and businesses. It also works well with dozens of popular WordPress plugins (think Contact Form 7, WP Super Cache, Next GEN Gallery, Gravity Forms, and soon, WooCommerce). While a theme alone won’t push you to the top of the search engines, this theme is considered SEO friendly, which is certainly a plus. And unlike many of the free WordPress themes available, you can use parallax scrolling enabled sections for a user experience unlike any other. 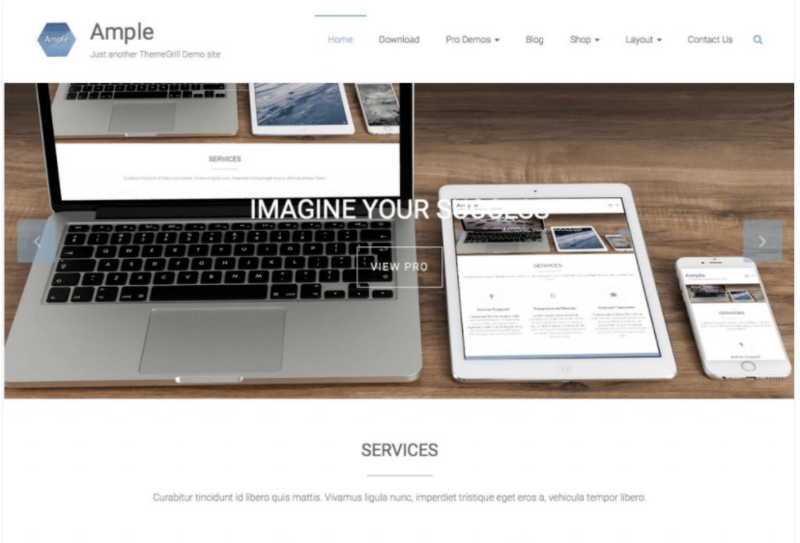 Ample is a fast, effective, and fully-updated WordPress theme that could be the perfect fit for your WordPress site. If you’re on the hunt for a theme that creates a modern aesthetic for your business without sacrificing any functionality, Ample is a fantastic option. This theme is a fully responsive site that makes your web content easily accessible on any device, from desktop to mobile phone. The Ample theme capitalizes on the latest parallax background effects, allowing you to add more information to a single page without sacrificing readability. 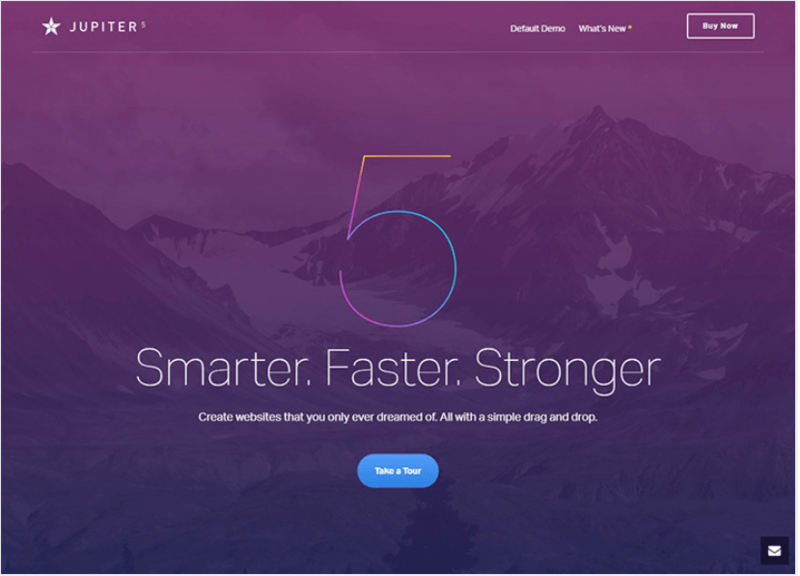 At the top of the theme, you’ll find a full-width slider that lets your customers access the site with ease. You can fully customize the theme with background images, colors, and different effects. Even more, this theme is extremely flexible, meaning you can easily expand your site if you plan to grow your business. Fast. Responsive. Engaging. 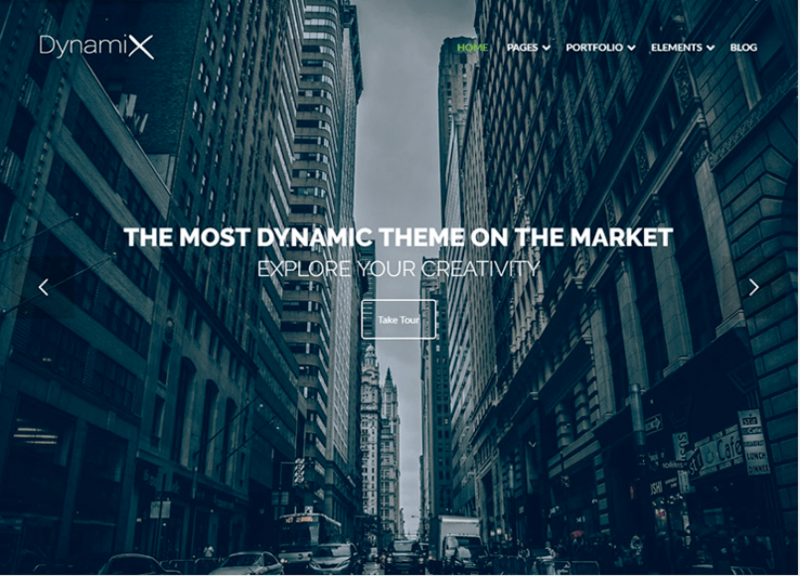 This effectively describes the DyanmiX WordPress theme, and for that reason, it’s one of the best paid WordPress sites for 2018. This theme is more versatile than most WordPress themes and yet still retains its elegance and functionality. 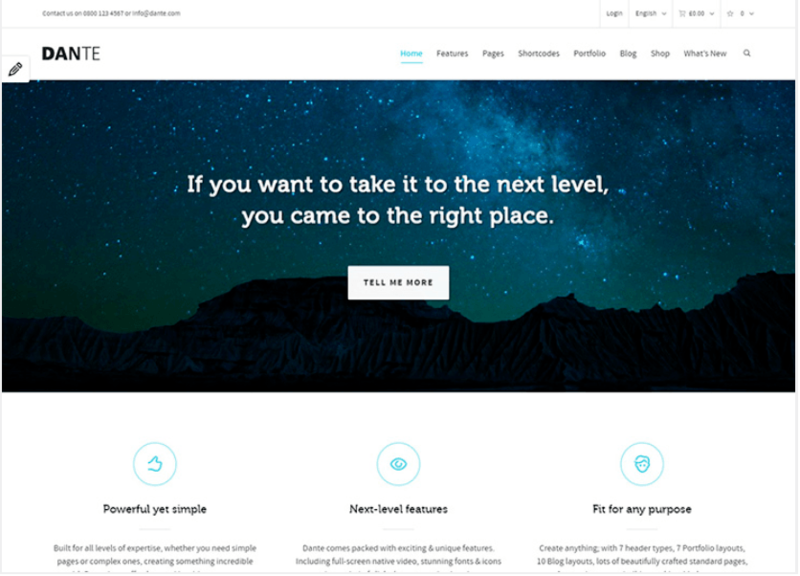 Simple and flexible, this theme can be used for your small business, corporate website, or ecommerce site. It’s is optimized for fast performance, which is essential to keeping customers on your site for any length of time. You don’t need add-ons, extra tools, or coding knowledge to make this theme your own. Everything you need to customize and change the theme is right in front of you. The DynamiX theme utilizes something called the “Visual Composer” which lets you control your site elements with an easy-to-use drag and drop tool. And you can always make sure you’re making the correct changes by checking the live preview before you publish the changes. Additionally, this theme is SEO optimized to make sure you’re ahead of the game when it comes to SEO rankings. 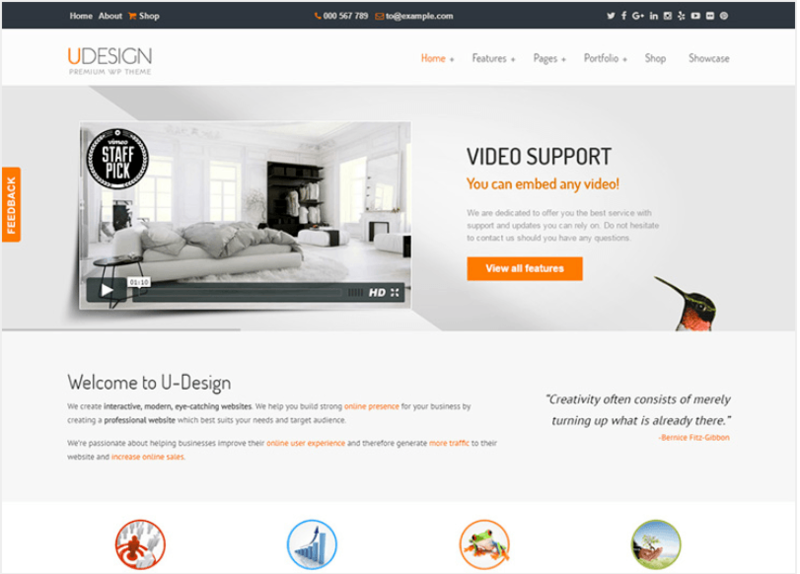 If you’re looking for a way to give your business website a little pizzazz, uDesign has everything you need. The homepage of the theme is entirely widgetized, meaning it’s incredibly simple to customize and move the elements on the page. Without any coding, you can customize your homepage to your heart’s content. This theme also has portfolio options which allow you to display your work, products, and photos, and it includes a a Google Maps widget so you can display the location of your business. You easily can optimize your site for SEO as well as make your theme multi-language ready. Jupiter is the WordPress theme for people who want options. If you’re looking for a certain degree of style, elegance, and richness to add to your site, look no further than this incredibly customizable theme. For starters, you can find over 70 pre-built templates to help you get started, generate ideas, or build on top of. Simply pick out the template you like best, insert the necessary information, and get to work on building the site you love. Your site can have everything you’ve ever wanted, including customizable headers, a variety of post styles, widgets, portfolio styles, and more. And like some of the other themes we’ve mentioned, no coding knowledge is required to make this theme look beautiful. Everything is drag and drop, making setting up your site a breeze. The Jupiter theme is performance oriented, using a memory management tool to keep your site fast. And if you were looking for a theme that’s multilingual, then Jupiter is a perfect fit. Using the WPML plugin, can easily translate your site into multiple languages. It’s also SEO optimized to help you with rankings. If you’re looking for a WordPress business theme that immediately makes your customers feel like they’re enjoying a premium experience, then Dante is a great option. This theme has just about everything you need thanks to its use of the Swift page builder. There are 27 pre-built page templates available, which can then be customized and tweaked in dozens of ways. For example, the Dante theme allows you to change the site background to parallax or video, and even lets you choose animations for specific elements on your pages. And like other themes we’ve mentioned, you don’t need coding experience to make this theme beautiful. If you are the kind of person who likes to get into the nitty gritty, you can use the shortcodes for advanced customization of your site. Downloaded almost 400,000 times, claims to be the number one theme of all time. While it’s difficult to verify this claim, the fact that this theme can he highly customized without any coding knowledge makes it ideal for most business owners. Using the Fusion Builder tool, you can make dozens of customizations to your site while still keeping it compatible with most of the popular WordPress plugins. Even better, once you purchase the theme, you’ll be able to get free updates for the rest of your life. The sheer volume of WordPress business themes available (for free or for purchase) can make it incredibly challenging to sit down, scroll through, and find one that works for you. 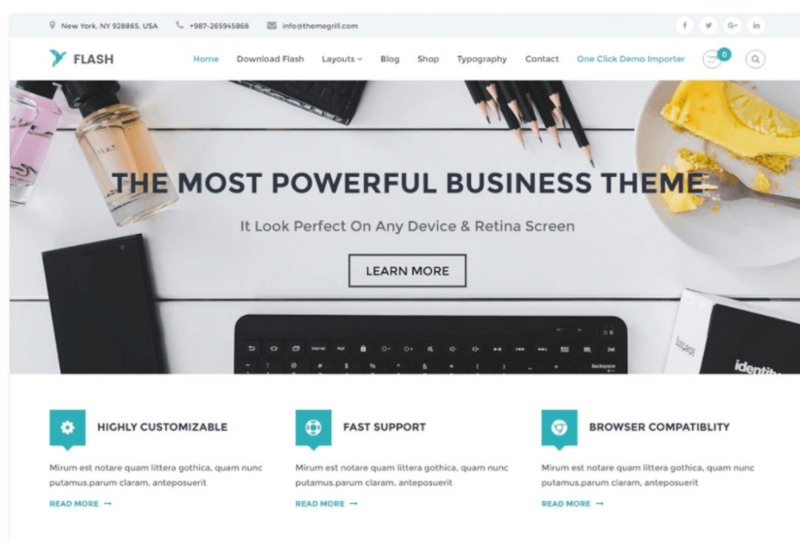 Instead of staying stuck in the past, choose from one of these top ten WordPress business themes listed above, and give your site a fresh look. We’ve done the hard work for you. All you need to do is pick your favorite. Happy choosing! How do I choose the right hosting plan?